Souleymane Badolo in Souleymane Badolo in Buudou, Badoo, Badolo. Photo by Ian Douglas. 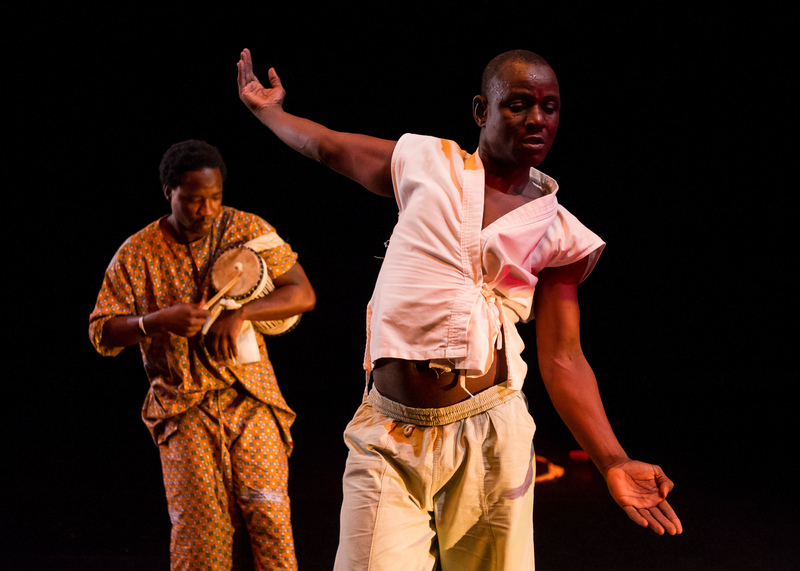 I saw Souleymane Badolo last night at New York Live Arts. He performed two solos, Barack and Buudou, Badoo, Badolo. Both addressed issues of past and present, and both were steeped in a thick sadness that was hard to throw off, even after the evening had ended. What has happened to this man that makes him so profoundly sad, I wondered as I let the theatre? At the same time, he is a remarkable dancer, who can make every muscle in his body dance, down to the tips of his fingers. Here’s my review, for DanceTabs.